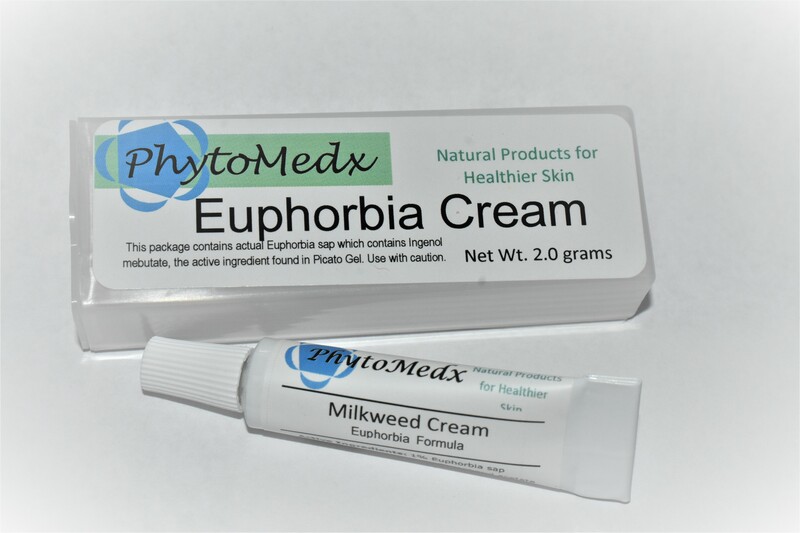 Phytomedx has developed a specially formulated and stabilized preparation of all-natural euphorbia sap and packaged it as an easy-to-use pharmaceutical-grade cream containing 1% Euphorbia sap. 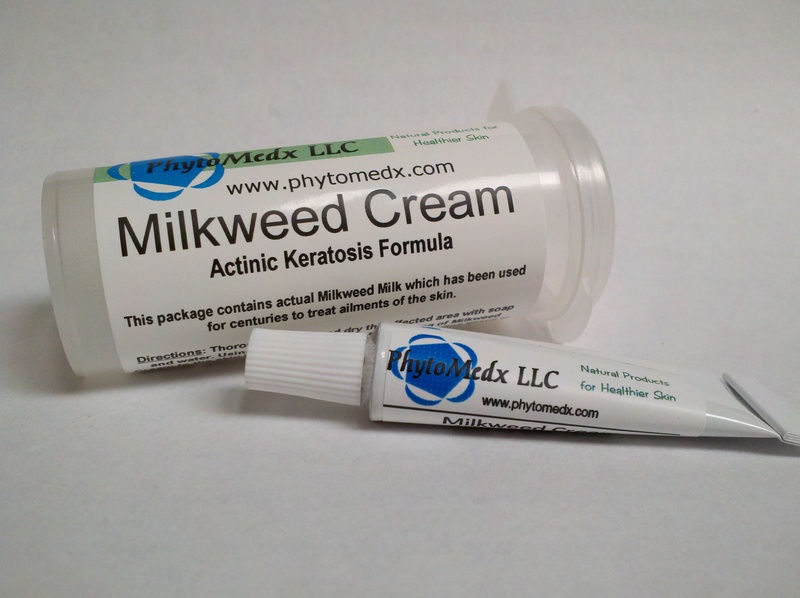 Euphorbia Cream can be used to treat non- and pre-cancerous skin lesions like Actinic Keratosis (AK) lesions. Euphorbia plants ooze a thick, white, milky sap when injured. The active substance from Euphorbia plants (ingenol mebutate) was isolated and patented by LEO Pharma. Their product, Picato Gel, is sold by prescription only. PhytoMedx has developed a method of harvesting Euphorbia sap and can now offer it as a natural source of ingenol mebutate.